The original Sugarpop was released in a time when mobile games were sky rocketing in popularity. Betsoft managed to combine the gaming features of online slots with the look and feel of a mobile puzzle game. 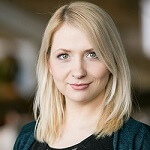 In the process they created one of the most popular online slot games in recent years. The amazing special features, colourful candy look and uplifting music made Sugarpop a classic. 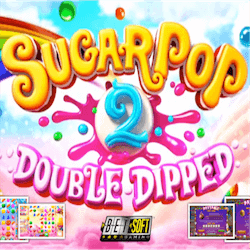 Now Betsoft has entered the ring again with the updated Sugarpop 2 : Double Dipped. This new slot amazingly keeps the spirit and intent of the original game alive. It hasn’t reinvented the Sugar Pop wheel but if you have clocked in many hours on Sugarpop, Sugarpop 2 will equally satisfy your craving. Betsoft know what they are doing here and have made subtle changes that greatly enhance your slot experience. Most fans will be happy to see they have kept the high RTP, with Sugarpop 2 clocking in a very rewarding 96.42% RTP. The reels make use of the same giant layout as the original, with reel symbols arranged on a 7×7 grid. The colorful candies that serve as the reel icons are constantly moving and exploding as you spin the reels and register wins. This is one of the most thrilling online slots out there and it’s made even better by Betsoft keeping many of the same bonus features that made the original so hugely popular, with a few tweaks of course to keep the action fresh and to engage new players unfamiliar with the original. What put the pop in Sugarpop has always been the Cluster Pays feature which makes a welcome return in Sugarpop 2. Wins are made by landing clusters of matched symbols together that then explode, leaving gaps on the 7×7 reels. The symbols above these gaps drop down and potentially make consecutive winning combinations. These successful combinations drive many of the game’s features. Players will also welcome the return of Sugarpop’s leveling system. Special red arrows serve as the Level Up icon. When you land multiple level up arrows in clusters they will explode and increase your overall game level. At higher levels, new symbols and features get added to the reels. These symbols all have special powers that include expanding wilds, special bean cannons that destroy multiple symbols triggering a cascading reels feature and much much more.